Thanks for visiting my blog. My name is Barry Mahler, and as you might have guessed by the blog address, I’m a (now retired) pastor who had enjoyed a previous career in the field of nuclear energy. A strange combination, to be sure, but it’s been a great life thus far, and I wouldn’t trade the path that’s brought me to where I am for anything. So please allow me to tell you a bit of my story, and also what I hope to accomplish through Critical Mass. Since I’m far too old to bore you with starting at the beginning, I’ll start with the year 1984, which was when I followed in my father’s footsteps and enlisted in the U.S. m ilitary. 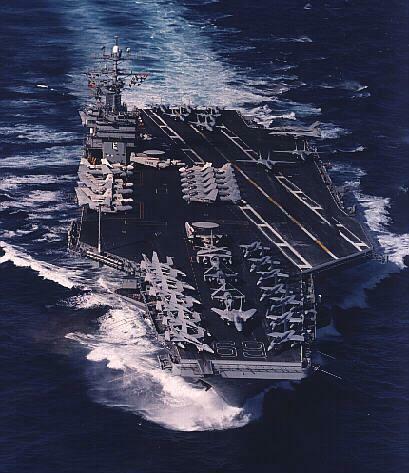 I was accepted into the Navy’s Nuclear Power Program, and after two years of training I spent four years operating the reactor plants aboard the aircraft carrier USS Eisenhower (CVN-69). When my six-year enlistment was over, I returned to Southern California, where I was quickly hired by the San Onofre Nuclear Generating Station (SONGS) to operate their reactor plants, something I had the great fortune of doing for ten years. After those ten years at SONGS I hung up my neutrons and took on the adventure of becoming the youth pastor at Calvary Chapel in my adopted hometown of Fallbrook, California. In early 2010 I was named the associate pastor, and then upon the retirement of long-time pastor and good friend Patrick Herrell I was named the senior pastor of Calvary Chapel Fallbrook in June of 2011. After 25 years of serving the church, I retired in April of 2018. But enough about me, let’s get to the idea of Critical Mass. As I’m sure you’ve guessed, it is a nuclear term at heart, but is also one that is often used to describe certain social issues and developments, so let me spend a few words defining the concept. In a nuclear reactor, critical mass is simply the combination of all the ingredients necessary to maintain a chain reaction of fission (atom splitting). When critical mass is achieved, no more outside help is necessary to induce fission, for the reactor then supplies itself with all it needs. When we say, then, that an idea or movement has reached critical mass, we are saying that no further outside input is needed in order for the idea or movement to sustain itself or grow, for it now has a life of its own. For instance, junior and senior high schools tend to create a teenage critical mass, where due to sheer volume and proximity a teen language, subculture and set of values is created and unleashed upon the world. Likewise, in Hitler’s Germany a critical mass of anti-Semitism was reached among the German people, resulting ultimately in the horror of the Holocaust. But critical mass is something that may also be used to describe the work of Heaven upon Earth, and this is nowhere more abundantly clear than in the realm of Biblical thought and influence, of which there are two great examples. The first example is the Kingdom of Israel during Solomon’s years of wisdom, when the critical mass of obedience and allegiance to the Law of Moses resulted in a remarkable explosion of God’s truth upon the planet (1 Kings 10; 2 Chronicles 9). The second great example is that of the Judeo-Christian West, which arose slowly out of the pagan Darkness to reach a critical mass of influence upon the European continent, and whose crown jewel was eventually reached in the establishment of the United States of America, the maturation of which brought the greatest explosion of human freedom, dignity and blessing that the world may have ever known. It is toward this critical mass of Biblical thought and influence that this site is dedicated. After more than three decades of studying the amazing Word of God, I have come to the following conclusion: Every good, every great and every beneficial idea for humanity has its genesis in the principles of Scripture. If our thinking is guided by these principles, we become wise. If our thinking is not guided by these principles, we become fools. great to meet you today with Darlene. And it was great meeting you guys!